Unit-e Technologies showcased two new machines at the 2016 IAAPA show in Orlando this year: the new “Neon FM” cabinet designed and manufactured by Andamiro, and “World’s Fastest Drummer,” a new ticket redemption game. 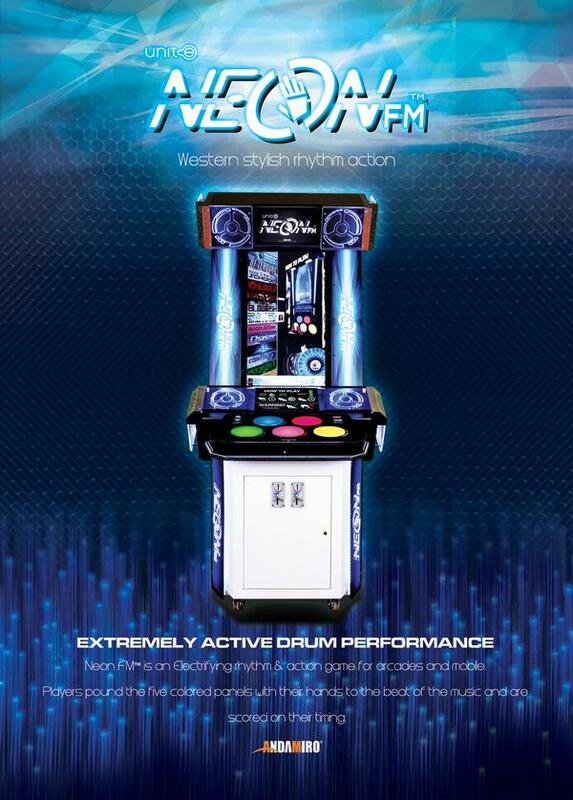 Neon FM™ returns to Amusement Expo International 2016. Come visit us at Booth 104 in the Coin-op Pavilion! Neon FM™ will return to the IAAPA Attractions Expo, the largest amusement show in the United States. Come visit us at Booth 107 in the Coin-op Pavilion! Our Showcase Precision™ Timer Set will also be on display courtesy of Adventure Solutions, at Booth 1689 in the Quiet Zone. 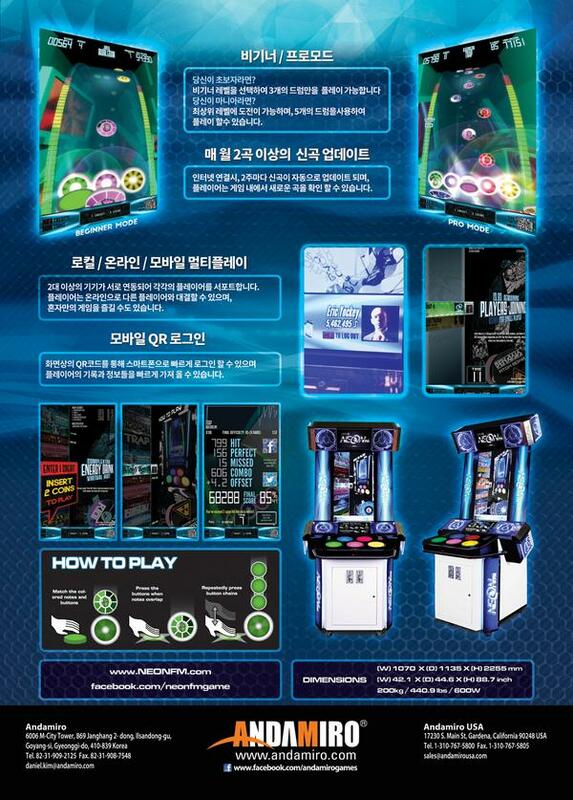 Neon FM makes its first appearance in Asia at the GTI show in Guangzhou, featuring a redesigned cabinet created by Andamiro (creators of Pump It Up) exclusively for Asian markets. Unit-e returns to the AAMA & AMOA Amusement Expo in Las Vegas with Neon FM at Booth 501, featuring online multiplayer and QR-code login features.